It’s no secret among my friends and family that I have a strong passion for travel. I love exploring new cultures, meeting people from every corner of the world, and discovering all that a new place has to offer – from food to music to art. Around the world, museums offer travelers a gateway into more than just beautiful art; it’s a glimpse into history. This week, a New York Times article discusses the recent challenges faced by museums throughout Europe. As more and more people have the desire and ability to travel abroad, destinations such as the Vatican and the Louvre are faced with the reality of having to accommodate the floods of visitors while preserving the art, beauty and tranquility that attracts travelers in the first place. This challenge is encouraging museums to discover new and innovative ways to keep their doors open while taking care of the artwork. Years ago, self-guided tours became a big hit. Today, museums are taking new measures such as timed tickets, longer hours and new A/C systems to preserve the art. With all the talk about the decline of the humanities, I’m encouraged not only by the public’s interest, but also the museums’ willingness to adapt to the times. Do You Feel Like I (Think You) Do? I recently took a New York Times quiz gauging how well I could read emotions. The quiz gives a series of pictures focused on a person’s eyes and asks you to identify, out of four choices, the emotion that best describes what they are feeling. The quiz got me thinking about the importance of reading people. In healthcare, body language and expressions help us connect to the people we serve. Understanding and connecting with patients and their families is at the core of our field. When we get these people to open up in such vulnerable situations, we are able to do our jobs even better. In my current role, I have the opportunity to work with people from all walks of life. It can be both a treasure and a challenge, but being able to read people allows me to be a better manager and coworker. Beyond healthcare, reading emotion is a great skill in business and in life. It’s something that’s necessary to be a truly effective leader. My advice for any professional is to take the time to work on this – focus more on the people around you and less on yourself. Whether it’s a supervisor, or someone you supervise, a coworker, a patient or a customer, having the ability to gauge emotions is a skill worth honing. In the meantime, take the New York Times quiz here and let me know how you did. Last week, the Centers for Medicare and Medicaid Services (CMS) announced they have set aside more than $100 million over the next five years to help states test and implement new payment and delivery models for Medicaid. It’s being called the Medicaid Innovation Accelerator Program (IAP) – and, if you ask me, it’s a step in the right direction. Recent changes in healthcare have brought both challenges and opportunities for professionals in every sector of the industry. Some of the best advances and solutions we’ve seen in response to the changing landscape have happened thanks to people coming together and using innovative ways of approaching the issue. It’s exciting and refreshing to watch as new, creative approaches develop. By keeping states siloed and disengaged, the current system hinders progress by preventing collaboration and the spread of best practices. The IAP opens the dialogue that has been missing between states. In the coming weeks, CMS will hold interactive webinars to gauge feedback from states, consumers and subject area experts to determine how to best move IAP forward. I’m curious and excited to see what ideas this program can produce over the next five years. On February 5, CVS Caremark sent shockwaves through healthcare and retail circles when it announced it would stop selling tobacco products at its 7,600 stores by October of this year. The move was estimated to cost the company some $2 billion per year. It’s hard to believe people when they say something isn’t about the money, but this time, it really wasn’t about the money. It was about helping people live longer, fuller, healthier lives. And it was a bold, forward-looking move by CVS. Now, the pharmacy giant is catapulting itself into the future again, as it partners with more traditional providers across the country. With last week’s announcement of more partnerships, CVS now has established affiliations with healthcare providers in six states: Hartford HealthCare and ProHealth Physicians in Connecticut, Memorial Health in Georgia, Lahey Health and Baystate Health in Massachusetts, Texas Health Resources in Texas, Palmetto Health in South Carolina and The Baton Rouge Clinic in Louisiana. Most of these affiliations revolve around so-called MinuteClinics, where doctors can treat conditions that do not require a trip to an emergency room or an urgent care center. It’s a huge step in the direction of population health management – keeping chronically ill patients out of the hospital and leading healthier lives – of the same vein as the decision to quit selling tobacco products. So far, in the era of “Obamacare,” CVS is making a name for itself as an innovator planning for the future. Its competitors may want to take note. Today’s internet-driven world, where any information we want is just a keystroke away, can be daunting. At the same time, modern society has provided us all with a public forum, a chance to be authors. This blog is my effort. You will soon learn that healthcare is my passion. I have almost two decades of experience in this industry – specializing in Medicare, Medicaid and managed care – and I have done everything from working in the C-suite as a top executive to working in the maternity suite providing direct care. You will also be able to tell rather quickly that I am from New York. I love to travel, for business and pleasure, and always get plenty of reading done on those long flights and layovers. The Scottish highlands are my favorite place to visit, but I’m nowhere near done exploring. I plan to share with you things I find interesting day-to-day, from politics to news stories, to horseback riding, to life on Long Island. Thanks for the indulgence. Comments and cheers are all welcomed. 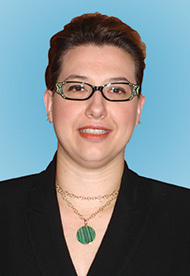 Penelope Kokkinides is a lifelong New Yorker and health care professional. Here, I plan to share with you the wide-ranging things I find interesting day-to-day. I love to travel, by horseback or jet plane, and hope you will tag along on this journey with me.